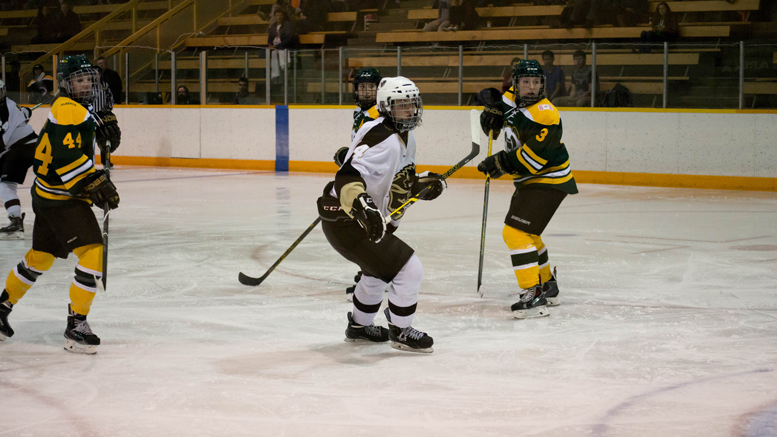 As the University of Manitoba Bisons women’s hockey team geared up for their series against the Saskatchewan Huskies on the road last weekend, one player felt right at home. 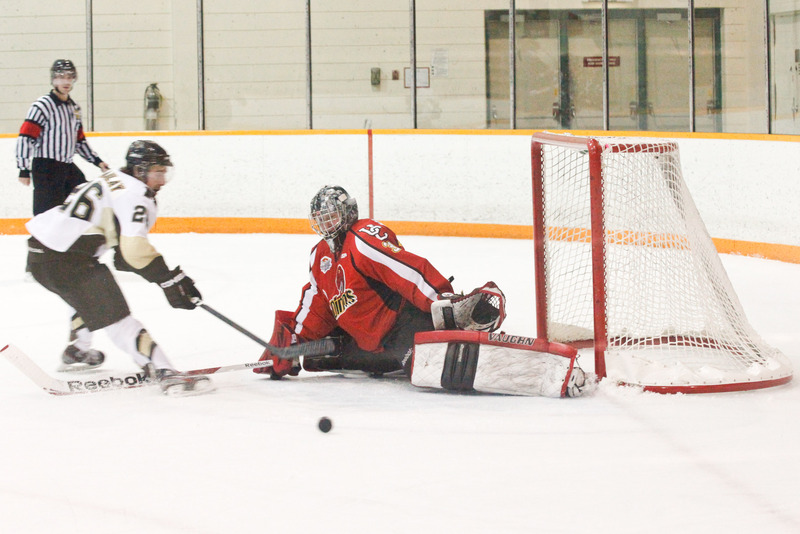 For third-year forward Alana Serhan, it was a contest against her hometown team – the team she would’ve been suiting up for if she hadn’t met Bisons head coach Jon Rempel. A native of Porcupine Plain, Saskatchewan, Serhan made the trip to Manitoba for a tournament as a grade 11 AAA midget player. It was during that tournament that she was introduced to Rempel. The Bisons’ interest in Serhan continued after that, and Serhan ultimately committed to the herd before graduating high school. “I made my way to the University of Manitoba thanks to coach Jon Rempel. Jon approached me after one of the tournament games and asked me if I have thought about playing university hockey and I said yes. In January of my grade 12 year I made the trip to Winnipeg, and shortly afterward I committed,” she said. “I had originally wanted to go university in Saskatchewan or Regina, but looking back now I wouldn’t trade my Manitoba experience for anything,” Serhan said. Serhan made quite the first impression in her first month of CIS hockey. Her first point was tallied in her fifth game against Mount Royal – a 4-1 victory. The next night, she scored twice in a 3-0 win. The following weekend, Serhan was on the board again at Calgary. However, despite her hot start, Serhan admitted that there were obstacles as a CIS rookie in that 2013-14 season. Serhan’s progression from a freshman to sophomore appeared flawless. Her rookie season of four goals and 11 points included a cold spell of 17 consecutive games without scoring a goal. She had 20 goals and 31 points the following season, though. With only five players on the roster having four years of experience or more, there is a greater emphasis on younger players assuming veteran roles. At the midpoint stage of her CIS career, Serhan believes that leadership is a role that can be assumed by any third-year player. Serhan is certainly living up to her standards on the ice, leading the team this season with 11 assists. Her 14 points after 22 games is second on the Bisons behind linemate Alanna Sharman. The success that the Saskatchewan native has had throughout the past three seasons has been a testament of her attitude on a game-by-game basis. Serhan takes a positive approach, and the results have shown that she’s taken the proper mentality to CIS hockey. In retrospect, the decision to join the herd ended up being an invaluable moment in her career – one that is still yet to fully unfold.